On two earlier occasions, we have had articles on Non-Duality, the first one in the August issue (go here) and the second one in the October issue (go here). This is the third article on the same topic and we elaborate this time on how Swami and Christ preach the same principle of non-dualistic vision and wisdom. “You cannot understand Me. 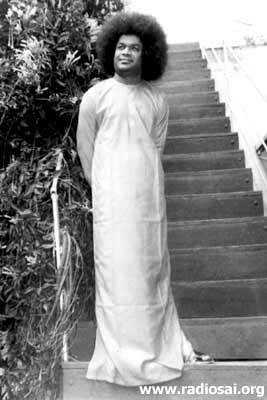 The best thing you can do is to try and understand yourself, and then you will know that you are not different from Me!” This is Swami’s profound declaration. The finite nature of thoughts and reason (which but take a few steps), are not competent to gauge the Infinite. The limited mind tries to comprehend the Unlimited repeatedly, but fails to do so and finally gives up as an impossible task. How can one express that which is beyond time, space, cause and effect, with the help of vocabulary, logic, reasoning, numbers and size, however hard one may try? The rational mind with its bounded reasoning and intellect, can proceed thus far and no further. “Yato Vacha Nivarthanthe Aprapya Manasa Saha.” Meaning, it is beyond the mind to comprehend the infinite. For such is the nature of Brahman (or God), and such is the limitation of the rational mind. “Love My Uncertainty” – What is its Significance? No one, no matter how many years he has lived with Swami or watched Him at close quarters, can predict Swami’s actions with certainty. One can never understand what He does when and why He does it. Whatever it is, His ‘uncertainty’ surely takes us beyond the concept of cause and effect. Through logic and reason, we establish and link the cause with effects. This helps us to predict with some certainty, our samsara (or worldly life) of relative existence, and the process of rationally living a comfortable and a successful life. 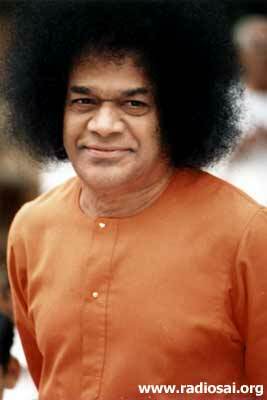 When we investigate “Swami’s Uncertainty”, we find that the cause is not necessarily linked to the effect. This “delinking” has the prime purpose of taking the mind beyond reliance on its own little reason, thought and intellect. Gradual delinking of thoughts which relate to worldly life and duality thus leads to detachment. “Thy Will be done, not mine”, as Christ said. 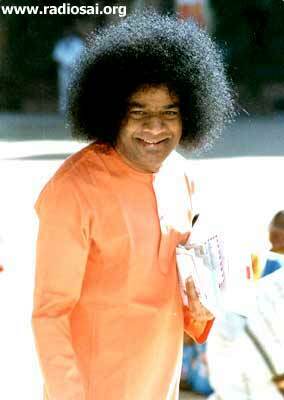 The “Uncertainty” around Swami therefore serves a great purpose in the devotee’s progress towards surrender. Rationality and intellectual processes, which were an impediment, fall away. “Love My Uncertainty” leads the devotee towards the final goal of Atma Nivedanam (total surrender), provided he is able to put it into practise sincerely. “Judge not lest ye be judged” as Christ said. He transcends the dual world of cause and consequences. Intuition which fulfils reason, yet transcends it, predominates. “There the sun cannot illumine, nor the moon, what to speak of this mortal fire”. 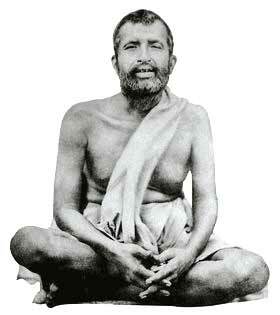 Once Sri Ramakrishna asked the boy Narendra (Swami Vivekananda), "If you were a fly and there was a pot overflowing with nectar, how would you drink it?" This is true Advaitha or non-dualism. It is here that the person who experiences, the act of experiencing and the object of experience become One. This is the state which often Swami refers to as “Constant Integrated Awareness”. Who Is A True Atheist? Isn’t this an eye-opener on Reality? It is mind-blowing, in its starkness and import and worth contemplating upon. Pseudo atheism has no place here. Denial of the Creator, God, but acceptance of the Creation (world) as real, can at best be termed pseudo atheism and a materialistic concept. To make it clearer, let’s take the case of Buddha. Buddhism is claimed by many to be an atheistic religion. This is because Buddha did not preach about any personal god, but always spoke of Nirvana (salvation) and rising above the world of senses and dualities. 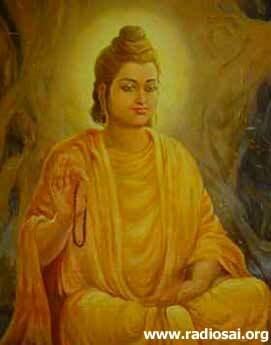 Buddha thus advocated the path of Gyana Marga (or the Path of Wisdom). It was therefore not atheistic, which is a misnomer. Buddha shows that Tyaga (Sacrifice) is the only way to immortality which Swami has emphasized on umpteen occasions. Continuing the Buddha story, the Buddha did not encourage idol worship. But after his death, Buddha was adored as a God and fully accepted by the Hindu fold. 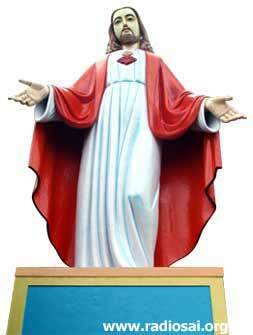 In fact He is counted among the 10 Avatars - incarnations of the Supreme Lord - according to Hindu mythology. It is suggestive that the majority of the masses were not yet ready to imbibe his non-dualistic (or Advaitic) teachings. Hinduism accepted Buddhism as an off-shoot of Hinduism. Christ’s statements on non-dualistic wisdom are numerous. This is the, in fact, the ultimate state of realization, the Advaitha Darshan – the vision of non-duality. From the Messenger of God, to the Son of God, graduating finally to Oneness with God – these, Swami says, depict the stages of the 3 schools of Vedantic philosophy, namely, Dualism (Dwaita), Qualified Non-Dualism (Visistha Advaitha) and Pure Non-Dualism (Shuddha Advaitha). This is the ascent that every individual has to undergo, irrespective of what religious denomination he may belong to. “Be ye Perfect, even as your Father in heaven is Perfect” relates to the realization of this Oneness. It again signifies the path of wisdom. The End of Wisdom is Freedom! The End of Culture is Perfection! The End of Knowledge is Love!